An interview with Sam Thomas, aged 18 playing Melchior Gabor. Simply Theatre: Is this your first show with Simply Theatre? Sam Thomas: This is my first Simply Theatre Show and I hope it won’t be my last. Simply Theatre: Did you know the show before you auditioned? 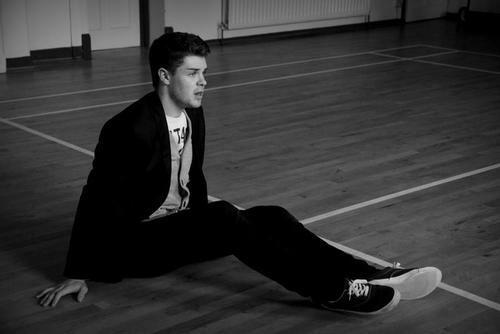 Sam Thomas: I played Melchior in a production of Spring Awakening at Godalming College very recently so I know the show and the role well. Simply Theatre: What attracted you to the show that made you want to audition? Sam Thomas: I wanted to be a part of this production, as I enjoy the show and the music and I was interested with working with such a strong theatre company and in such an interesting venue. Simply Theatre: What is your favourite part of the show and why? Sam Thomas: My favourite part of the show for me to perform would have to be ‘Left Behind’- it’s such a strong song, full of emotion and range, this would be closely followed by the graveyard scene, as once again, this moment is full of emotion. Simply Theatre: Favourite show you’ve been in and part you played? Sam Thomas: My favourite show that I’ve been a part of in the past would be Cabaret, playing the role of Cliff Bradshaw. Simply Theatre: What’s the most embarrassing costume you’ve had to wear? Sam Thomas: The most embarrassing costume I’ve ever had to wear would be tights and a dress, as I was playing a girl - wasn’t my strongest portrayal. Simply Theatre: Why do you think people should come to see the show? Sam Thomas: I think people should come to see this show, because not only is it a great piece of musical theatre full off strong songs, choreography and strong acting scenes; but also because this show is full of political messages and issues that I feel should be seen by people. Working on this show has fully lived up to my expectations in terms of working with a strong bunch of people, it has been professional at all times and we have a really strong show that I know people will enjoy watching!